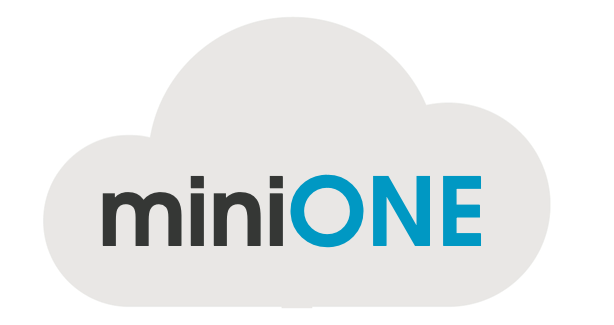 miniONE – Install OpenNebula with a Single command! This post is about a simple tool called miniONE, which allows you to easily install OpenNebula on a single host from the freshly deployed system to the ready-to-use OpenNebula installation just by a single command. Let’s say that you just want to check out how OpenNebula looks like when starting evaluation or you want to see if something particular is done in v5.6. This might be the case when you can use miniONE. At first, there needs to be some checks done. You can see all of them by running with –verbose. Mainly you need to run it on a supported system — Centos 7 and recently Ubuntus so far. Then, you need CPU capable to perform virtualization, some free space to allocate the images and virtual machines itself, etc. But you might try to force it using -f.
Once you get through that, you may start the installation. What is happening? Apart from the installation itself, which simply adds the repositories and installs the OpenNebula packages, some configuration changes must be done. Above all, the networking needs be prepared to somehow allow you to connect to the virtual machines later. For that purpose the bridge interface is created with dedicated network segment and NAT is configured on the installing host. Also, DNS server (DNSMasq) is started for the virtual machines. And that’s it! It won’t take us to Mars, but it might be handy, nonetheless. https://opennebula.org/wp-content/uploads/2018/11/opennebula_cloud_logo_white_bg-4.png 0 0 Jan Orel https://opennebula.org/wp-content/uploads/2018/11/opennebula_cloud_logo_white_bg-4.png Jan Orel2018-12-11 14:39:302018-12-11 14:39:30miniONE - Install OpenNebula with a Single command! Do you operate a small Cloud infrastructure and need to optimise the centre occupancy? Then FaSS, a Fair Share Scheduler for OpenNebula (ONE), will address your issues! FaSS is a product of the INDIGO-DataCloud project and has been developed to boost small Cloud infrastructures, like those used for scientific computing, which often operate in a saturated regime: a condition that constrains the free auto-scaling of applications. In those cases, tenants typically pay a priori for a fraction of the overall resources and are assigned a fixed quota accordingly. Nevertheless, they might want to be able to exceed their quota and to profit from additional resources temporarily left unused by other tenants. Within this business model, one definitely needs an advanced scheduling strategy. the historical resource usage of the project. The software was designed to be as little intrusive as possible in the ONE code, and interacts with ONE exclusively through its XML-RPC interface. Additionally, the native ONE scheduler is preserved for matching requests to available resources. 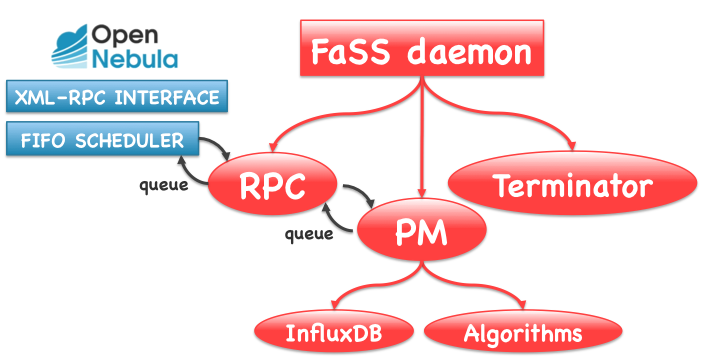 FaSS is composed of five functional components: the Priority Manager (PM), a set of fair-share algorithms, Terminator, the XML-RPC interface and the database. The PM is the main module. It periodically requests the list of pending Virtual Machines (VMs) to ONE and re-calculates the priorities in the queue by interacting with an algorithm module of choice. The default algorithm in FaSS v 1 is Slurm’s MultiFactor. Terminator runs asynchronously with respect to the PM. It is responsible for removing from the queue VMs in pending state for too long, as well as terminating, suspending or powering-off running VMs after a configurable Time-to-Live. The XML-RPC server of FaSS intercepts the calls from the First-In-First-Out scheduler of ONE and sends back the reordered VMs queue. FaSS database is InfluxDB. It stores the initial and recalculated VM priorities and some additional information for accounting purposes. No information already present in the ONE DB is duplicated in FaSS. How can I install FaSS? Please find the detailed instructions in GitHub. To install InfluxDB and create fassdb. All the other requested packages are installed automatically with the rpm. Not at all! A detailed usage description can be found in GitHub. Now FaSS is ready and working! We are implementing several new features in FaSS, for example the possibility of setting the Time-to-Live per user. We are also planning to test several new algorithms. So stay tuned! 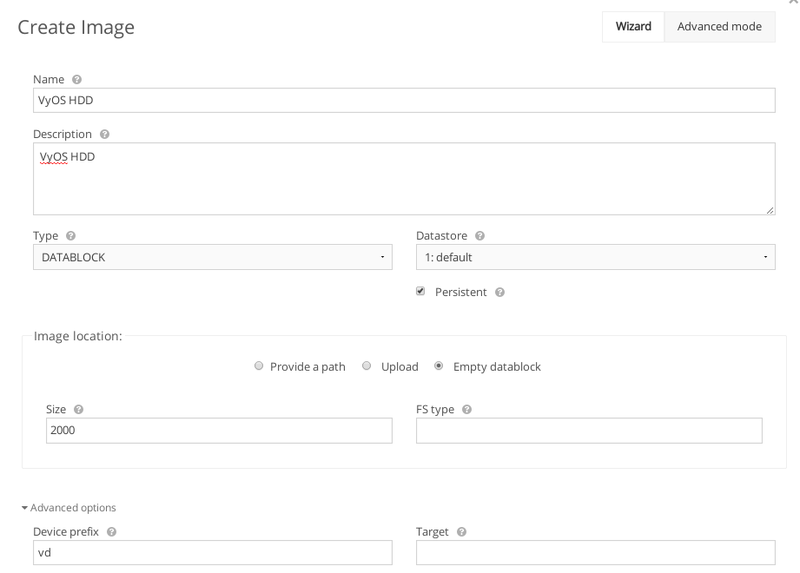 DRBD backed storage is now integrated into OpenNebula with the new DRBD Manage addon. DRBD provides transparent, real-time replication of block devices without the need for specialty hardware. 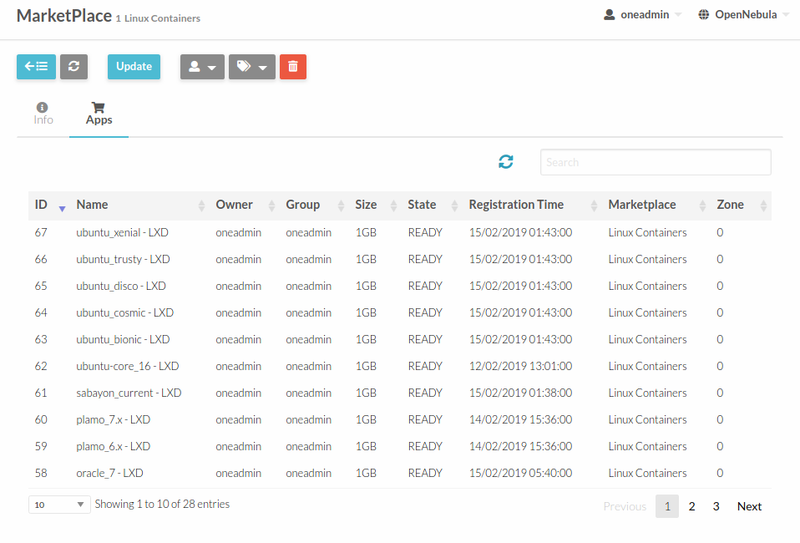 DRBD Manage is an administrative tool which facilitates easy Logical Volume Management (LVM) and configuration files for multi-node DRBD clusters. With the DRBD Manage driver, create each new image for your virtual infrastructure as a DRBD volume. Volumes intelligently balance the load on your storage nodes. Alternatively, assign volumes to the specific nodes that you want in use. This is a simple scale-out storage solution, supporting the capability to add new nodes to your storage cluster at any time. This, combined with the flexibility of LVM, allows DRBD to keep up with your ever-increasing storage requirements. DRBD 9 and DRBD Manage allow transferring Images to Virtualization hosts via the DRBD Transport protocol. This allows images to be available nearly instantly on host nodes without requiring them to have storage space available. Below is a diagram showing a simple OpenNebula cluster using the DRBD Manage Driver. This cluster has a Front End, two storage nodes, and a single virtualization host. The host has two images attached to it via DRBD Transport. Both images are deployed to double redundancy and are being replicated in real time across both storage nodes. This means that the failure of a single storage node will not disrupt IO on the host. All nodes have a local copy of DRBD Manage’s control volume. Today I’m writing about the steps I’ve followed when creating a KVM VyOS image for OpenNebula that accepts some contextualization variables. I hope this post helps users to extend the contextualization support and create your own VyOS appliances and share them in the marketplace, e.g why don’t you try to follow these steps to create an image for Xen and VMWare? The first part of the post will help you to create a KVM image using Sunstone, the second part explains how we can add contextualization to our VyOS image. This is easy for most of the users, however I think it’s always good to show these steps to newcomers. These are only my recommendations, they’re not mandatory, I’m just letting you know what works for me. First, download the latest stable image for virtual 64 bits (or 32 bits) from VyOS adding the ISO as a virtio CDROM image (vd prefix). Let’s create a 2GB Hard Disk image. I use a persistent, empty, datablock to create a VirtIO HDD. Once the HDD is created, remember to change the TYPE from DATABLOCK to OS. General -> Memory. We’ll need at least 256 MB RAM (512 MB recommended). Network. When creating a NIC I use the advanced options and select virtio for the NIC Model. OS Booting 1st Boot -> CDROM. It’s quite important to ensure the VM will boot the CD first unless you want a “AMD64 – No bootable device error” error. After our template is ready let’s instantiate it!. If everything works fine we’ll have access to the console using VNC. This will destroy all data on /dev/vda. The HDD is ready so we only have to update our template removing the CDROM and selecting HD as the 1st Boot device in the OS Booting tab. Then we can instantiate the VyOS template again. In the second part I’ll use SSH to run some commands so I first enable a NIC and start the SSH service using the following VyOS commands. In my example I’m using the 192.168.4.11 IP address. Now we have a VyOS image with SSH and we’re ready to start with part two. VyOS is a fork of the Vyatta Community Edition. Vyatta’s forum was full of useful information and it helped me to find answers to “where should I start to add contextualization?”. Unfortunately, when Brocade acquired Vyatta, the forum dissapeared, so I don’t know really who should receive credit for the info I gathered… I only can say thanks to Vyatta’s community and wishing the best for the new VyOS community. All right. Let’s try to explain the magic. If we add to VyOS a script called vyatta-postconfig-bootup.script, VyOS will run any command in that script, once VyOS is ready and the configuration has been loaded. In this script we try to mount the OpenNebula’s CDROM containing the context.sh script which will load the contextualization environment variables (please see the official OpenNebula’s documentation) to get a deeper understanding of contextualization. In any case, VyOS will launch the vyatta-vmcontext.sh bash script afterwards. The vyatta-vmcontext.sh (it can be renamed, of course) uses the vyatta-cfg-cmd-wrapper command to encapsulate VyOS commands that will alter the configuration. The wrapper commands must be declared between a begin, a commit and, of course, an end. Using one of the OpenNebula’s contextualization scripts as a template, I’ve added VyOS command that will be executed if some context variables are ready (e.g the IP and MASK…). I think this script it’s quite easy to follow but don’t hesitate to send your doubts and feedback to add a FAQ to this post. Now we’ll scp the files to our VyOS VM using the vyos username and the vyos password (unless you’ve changed it during the installation). My VyOS router is listening on the 192.168.4.14 address. Removing the console, will help us to avoid the following error-> INIT: Id “TO” respawing too fast: disabled for 5 minutes. Thanks to this post! Phew!. It’s been a long post and it’s hard to include all the information without boring you. I hope you have understood how you can use some scripts to add context to your own VyOS image. Soon I’ll post here some more information about VyOS but in the while you can start improving your VyOS images. OpenNebula Conf 2014: first speakers confirmed! Today I’d like to remind you of hurrying up with sending your proposals for the OpenNebula Conf. July 15th will be your last chance to submit your talk and to join us as a speaker on December 2nd – 4th this year in Berlin. The scrimpers of you should also know that July 15th is the last day early bird tickets are on sale. We already have some confirmed speakers, too. If you have a look at the event website, you can admire the abstracts of the talks of Armin Deliomini (Runtastic) and Stefan Kooman (BIT.nl). Alberto Zuin (Moyd.co LTD) will follow soon. Now ain’t that some good news? https://opennebula.org/wp-content/uploads/2018/11/opennebula_cloud_logo_white_bg-4.png 0 0 Eva Häusler https://opennebula.org/wp-content/uploads/2018/11/opennebula_cloud_logo_white_bg-4.png Eva Häusler2014-07-11 11:24:402015-01-13 16:46:27OpenNebula Conf 2014: first speakers confirmed!